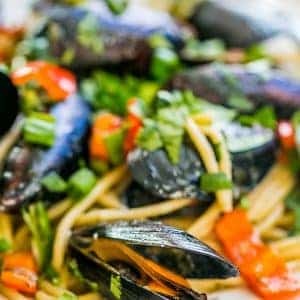 Quick, easy, and delicious- this 15 minute drunken mussels pasta recipe is full of garlic, white wine, and red pepper flavor- perfect for spaghetti or linguine! 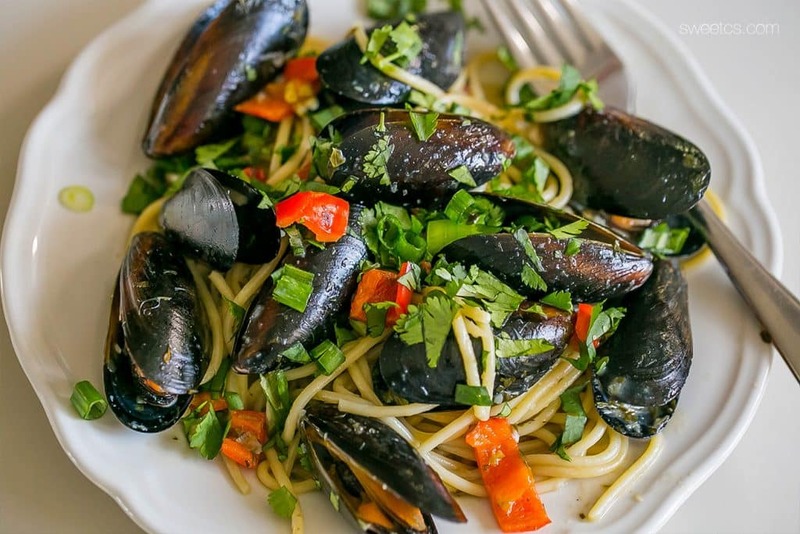 I was always afraid of cooking mussels. 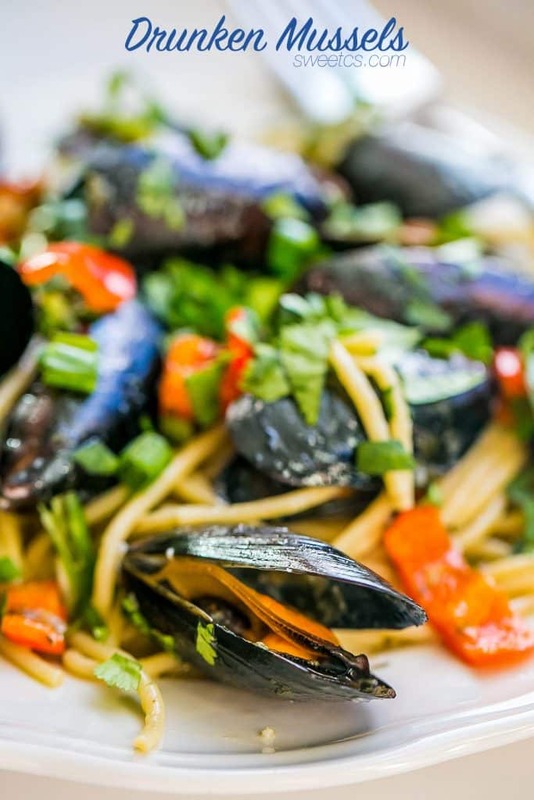 They are tricky- there are all sorts of things to do (like scrub them well, remove sand, take off their little “beards”)- and I’m always afraid of cooking a bad mussel and basically killing everyone. Yea- I’m totally neurotic like that. 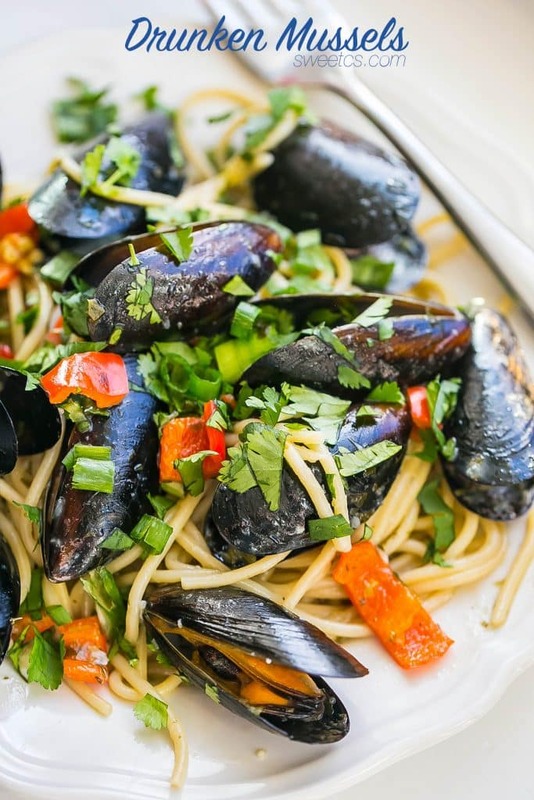 But really- it is SO easy to cook mussels, and this drunken mussels pasta is SO good! 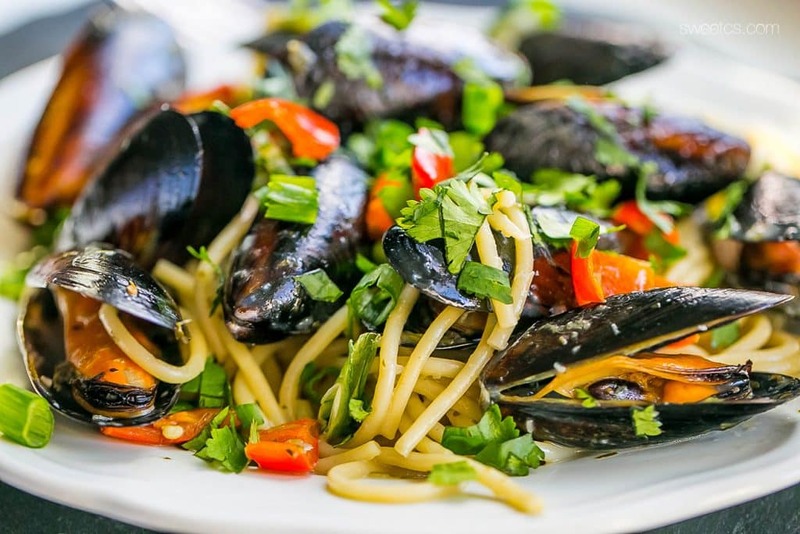 This dish couldn’t be more simple- toss in a pan with some butter, wine, garlic, peppers and top with fresh cilantro- and you have an elegant, romantic meal! Isn’t this perfect for date night? So romantic- and it looks impressive and gourmet but doesn’t take any fancy skills or equipment! Heat butter in a pan on medium high heat, add mussels. If frozen- add immediately to pan and cook from frozen (add another 5 minutes to cook time). Add garlic, lemon and wine, as well as bell pepper. 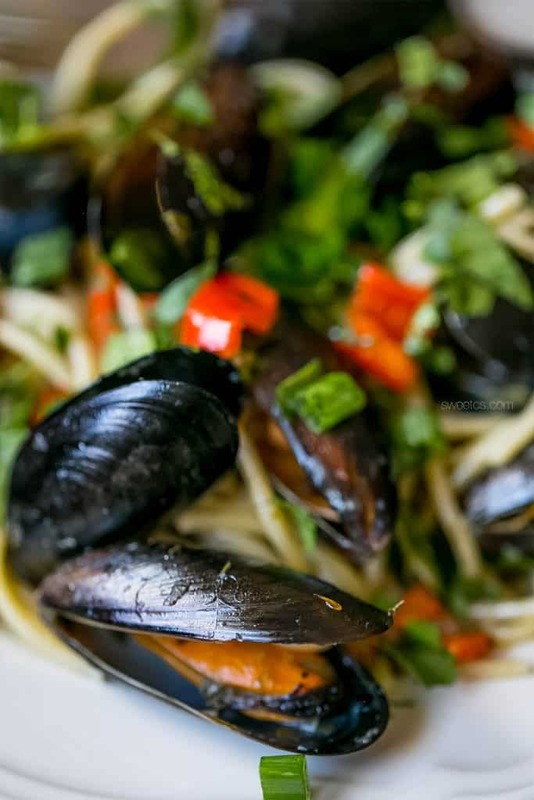 Stir well and cook on medium high heat until mussels open naturally. 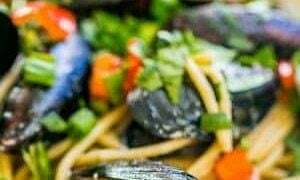 Discard mussels that don't open on their own. Add pasta and toss in sauce to coat evenly. Garnish with cilantro and plate. Add fresh grated parmesan, if desired. 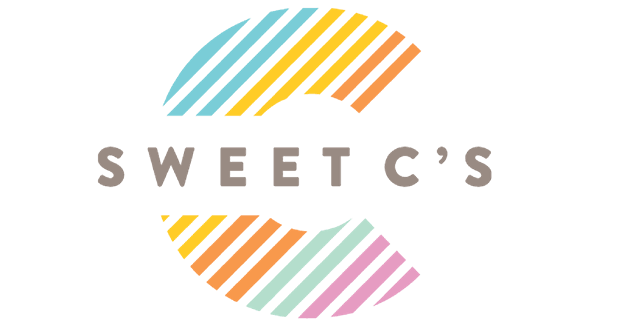 Lovely recipe, I am currently writing a novel and would respectfully request your permission to reproduce your recipe in the book, with of course full credit to you in the references. I will understand if you decline however.